removed) may be viewed below right. 18200 (5). The schematic may be found here. complement is devoted to this purpose. onse at low volumes to compensate for audiometric effects. ed audio distortion, especially in the presence of strong signals. sure (or otherwise) of servicing. 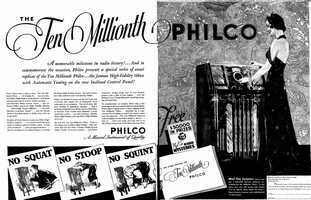 from a device such as the Philco High-Efficiency-Aerial-System. 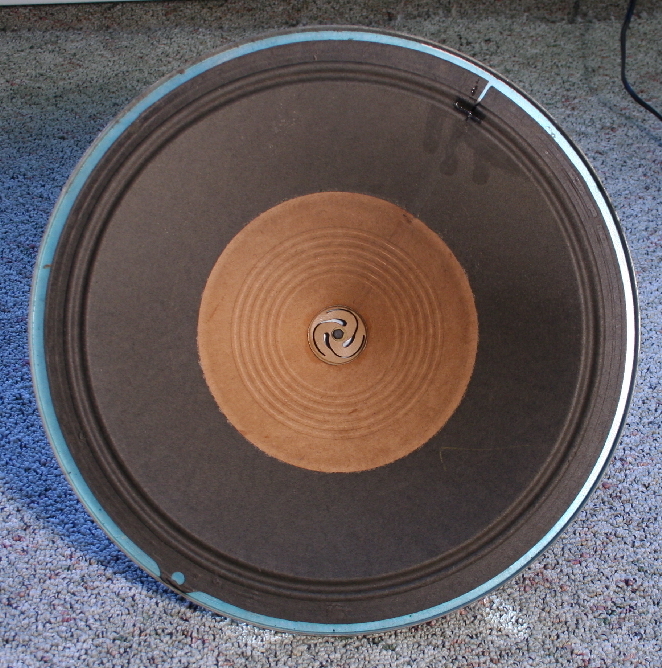 large capacitance for effective tuning at the lower frequencies. featuring their foreign tuning system. them a pleasure to use. case on this model too. 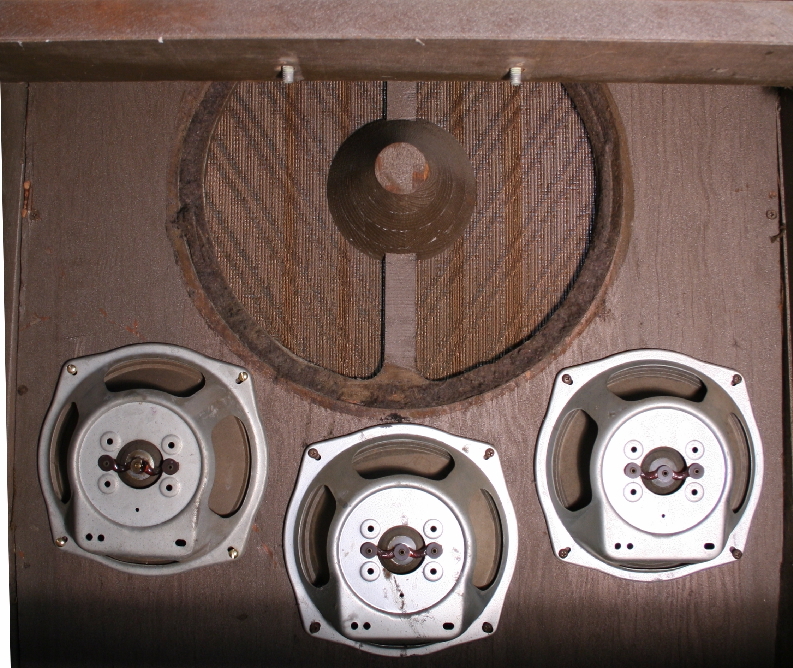 three clarifiers, one with an 8.75" cone and two with 6.25" cones. flattening using just the smaller 6.25" clarifiers. 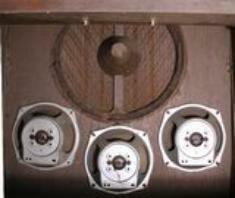 this served a protective rather than acoustical function. that realizable from FM. Sensitivity across all bands is first rate. to. 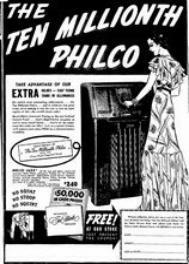 One of Philco's best! 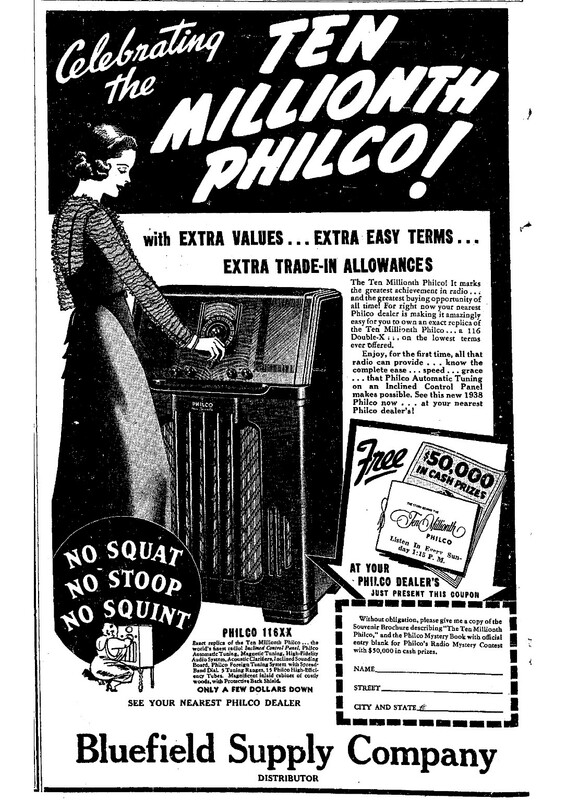 Philco presents the radio of tomorrow today! 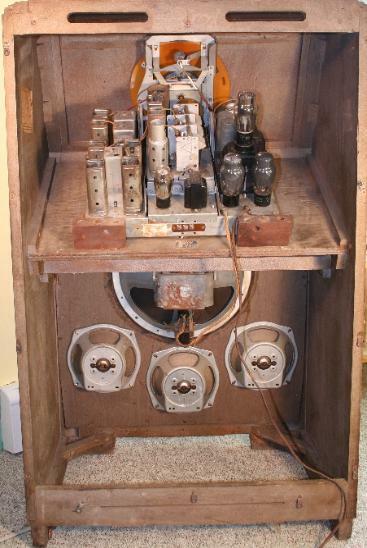 only by Philco's showpiece 38-690XX set. set, from the crowning year of radio's "golden age". "For 1938....Philco presents the radio of tomorrow today! 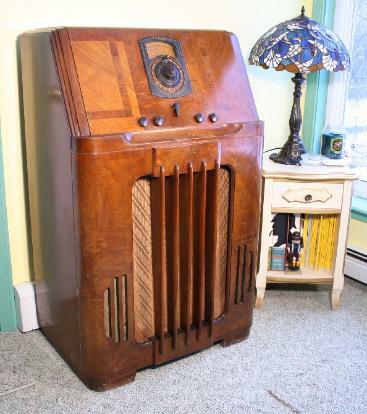 No longer need you squat, stoop or squint to tune a radio! 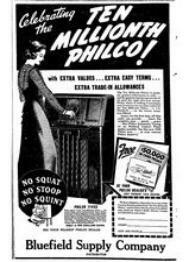 "there's far more than the inclined control panel to the Philco story for 1938.
the features of the 38-116XX radio. - Inclined Control Panel - No Squat! No Stoop! No Squint! your favorite station, tuned with absolute accuracy... instantly... perfectly. 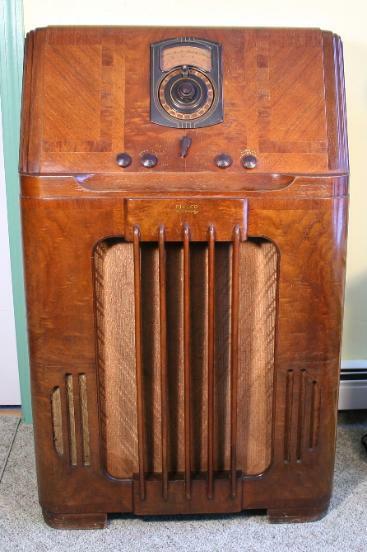 - Acoustic Clarifiers - prevent "boom"
- The Philco Foreign Tuning System - with spread band dial..
- Everything you could wish for - in a cabinet of thrilling beauty..
"Tune easily, gracefully, Automatically! ...sitting or standing...!" All you could ask in radio. was occupied by soldiers and patients. 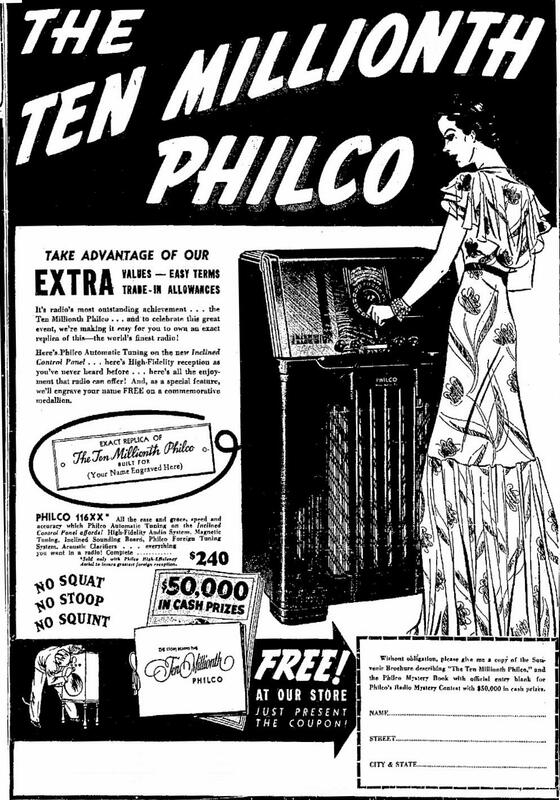 Charleston Daily Mail, Nov 21 1937, p 10.
onth Philco. Built for" (click center ad thumbnail below). 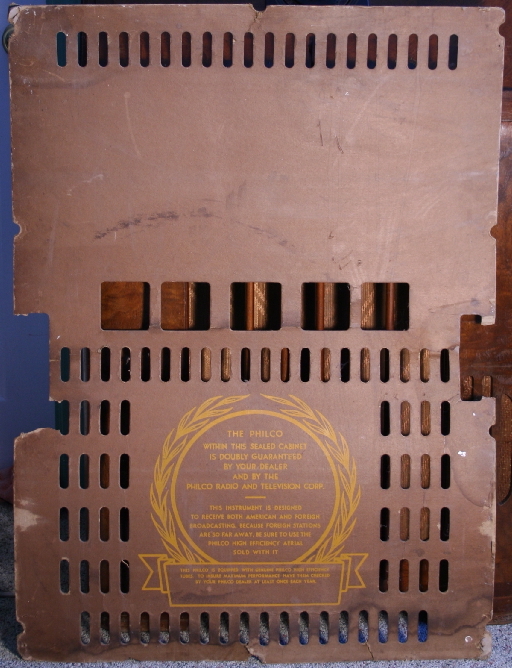 "crowning achievement in radio", the ten-millionth set. contact with 'the good things on the air'. feature had an 'X' appended to the model number (e.g. 112X).